Have you ever heard the saying, “hope for the best, but prepare for the worst?” What that means is that you should hope that nothing bad ever happens, but in the event that something does, you should always be prepared. It’s kind of like making sure you have the right Fall River car insurance policy. You work with your local Fall River insurance agent to find the best rates and coverage from auto insurance companies so you will be covered in the event of an accident. So it’s important to take the next step in preparedness. After you get auto insurance in Fall River at Sullivan Insurance Agency, make sure to prepare for an accident. What do you have inside your glove box? Many people keep their car registration and proof of insurance from their Fall River insurance agent in there. They also keep napkins, tissues and other things that can help them in an emergency. You should also keep some things that you might need in the event of an accident. Whether you hit someone or someone hits you, there are certain things that you need to do immediately following an accident so you can properly report it to your auto insurance in Fall River. Speaking of your cell phone, you should also keep local emergency contact numbers and an ICE number or “In Case of Emergency” number in your contact list. This will help first responders contact family members quickly if you are in an accident and are unable to do so for yourself. Spouses, partners, significant others, adult children, parents, neighbors, and other friends should all be listed in your contacts. Include your Fall River insurance agent’s number in here as well for quick reference, along with any important details about your Fall River car insurance policy. When you exchange information with the other driver in the accident, make sure you know what you are legally obligated to share. You should include your name, address and phone number, along with the name of our auto insurance companies, policy number and the name of the primary insured person. You may also want to exchange details on your driver’s license number and state, the license plate number for the vehicle, the year, make model and color of the vehicle, along with the owner’s name. It is hard to prepare yourself for an accident. That being said, it is a good idea to at least think about how you might react and what you might do following an accident. Going over the steps that are required by law and the things you will want to do to make sure that you are accurately covered is very smart. It can help you realize what is expected and what information you will need to have in order to contact your Fall River insurance agent to talk about the accident. 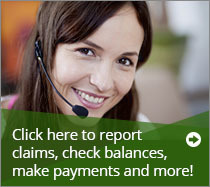 Your agent can help walk you through the process of making a claim on your Fall River car insurance policy. DON’T APOLOGIZE – Even if you think it might be your fault, do not apologize. Allow the law enforcement officials to determine who contributed what to the accident. Don’t ever just assume that it is your fault. MAKE A RECORD – Write down everything you can. Use the pencil and paper to write down your account of what happened while it is fresh in your mind. Don’t even leave the scene until you’ve written it all down. Use your camera phone or disposable camera to take pictures of the damage done to all vehicles and any part of the scene that is relevant to what occurred. Get contact information for any witnesses in case there is any disagreement about the chain of events. 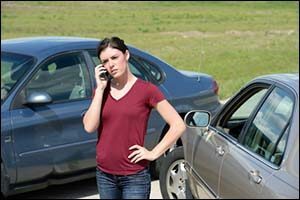 MAKE A REPORT – You should always make an official accident report even if law enforcement does not respond to the accident on scene. Even if there are no injuries or if it doesn’t appear that there is a lot of damage, make sure to get an accident report from your local DMV website and fill it out. Submit it according to the requirements and make sure there is a written record of the incident. CONTACT YOUR AGENT – Make sure to contact your auto insurance companies right away after an accident. Submit your own insurance claim. Call your Fall River insurance agent and have your information regarding your Fall River car insurance policy handy and ready to go. You may even want to stop in and speak with your agent about your auto insurance in Fall River if you have any questions after the fact. Contact your local Fall River insurance agent at Paul Sullivan Insurance by calling 608-679-9111. As an independent insurance agency, we work with all of the major auto insurance companies to provide our clients with the best options available in a Fall River car insurance policy. Call today if you need to get a FREE QUOTE or if you have questions about getting auto insurance in Fall River.